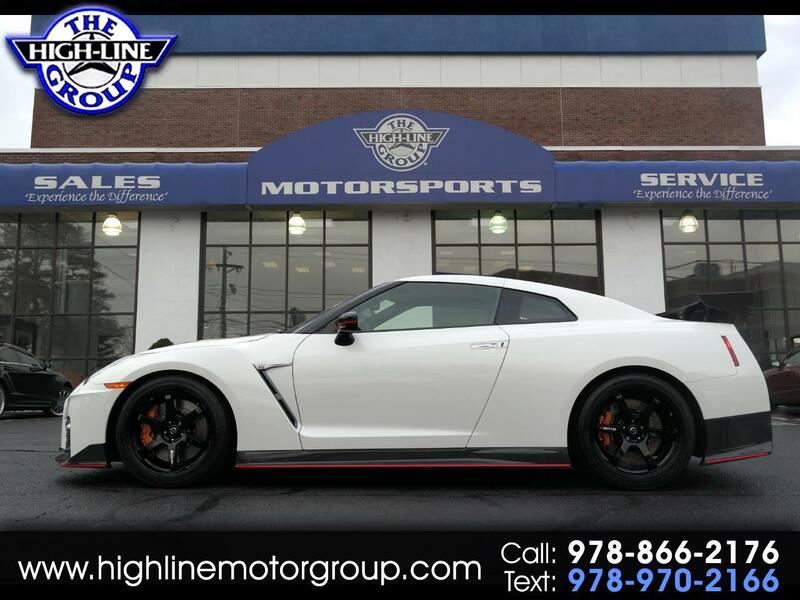 2017 Nissan GT-R NISMO CARBON KIT Pearl White AWD 6-Speed Automatic 3.8L V6 DOHC Twin Turbocharged GT-R NISMO CARBON KIT, 2D Coupe, 3.8L V6 DOHC Twin Turbocharged, 6-Speed Automatic, AWD, Pearl White, Nismo w/Recaro Leather Appointed Seat Trim, GT-R Logo Floor Mats, Navigation System, Premium Paint - Pearl White, Wheels: 20" NISMO Forged Aluminum. Experience the Difference at the Highline Motor Group! Message: Thought you might be interested in this 2017 Nissan GT-R.